4,5,6 trifluoropyrimidine is a Halogenated Heterocyclesan. 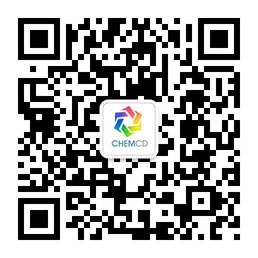 It is a building block and intermediate that is very valuable in the synthesis of new fungicide. The study of its preparation and feasible development process for industrial manufacturing is very meaningful for practice. Use 4,6-dichloro-5-fluorine pyrimidine as a raw material and reacting under ordinary pressure with a fluorinated reagent, a phase-transfer catalyst and a high-polarity aprotic solvent. The advantages of the preparation method are that the reaction process conditions are simple, the reaction temperature is low, the reaction time is short, and the production cost is low because that reaction under ordinary pressure exempts the reaction from high-pressure equipment. More importantly, the yield of the obtained product is as high as more than 80% and the purity can be higher than 97%. By contrast, in the method reported by German Price Cech, Macho Stewart, only raw materials are used and 4,5,6-trifluoropyrimidine is prepared directly by a one-step reaction. However, the process conditions are harsh. The reaction requires high pressure, high reaction temperature, and special catalyst. The catalyst is very unstable in air and an inert gas needs to be used. 提示 You need to login to view the purchase business contact, please or 注册.